The air quality of Albania is evaluated by trace metals atmospheric deposition using moss biomonitoring method. Bryophyte moss (Hypnum cupressiforme Hedw.) samples were collected during August and September 2015 from 55 sampling points distributed over the entire territory of Albania. The concentrations of Cr, Cu, Fe, Ni, Pb, V, and Zn in moss samples was determined by ICP-AES, ETAAS (As and Cd), and CVAAS (Hg) analysis. Spatial distribution and temporal trend of the moss elements is discussed in this study. Different variability was found in moss metal concentrations that may reflect their spatial distribution patterns and may identify the location of the areas with high contamination of each element. Compared with the measurements of moss collected in 2010, significant differences were found in the concentrations of As, Cr, Cu, Hg, Ni, Pb, and Zn. The differences between two moss surveys may reflect changes in the bioavailability of the elements resulting from wet and dry deposition respectively during 2015 and 2010 moss biomonitoring survey. 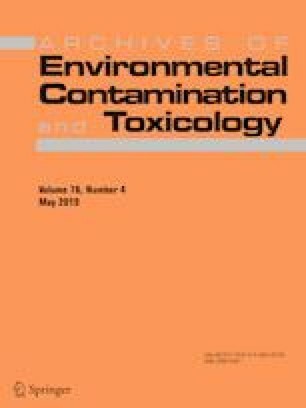 The pollution loading index that was applied to judge the content of metal contamination indicated moderate pollution throughout Albania. Examination of the potential ecological risk found that As, Cd, Cr, Hg, Ni, and Pb pose the highest potential ecological risks particularly in the areas with high metal contents. Factor analysis applied to investigate the probable sources of metals in the environment suggested that Al and Fe likely originated from natural sources. As, Cd, Hg, Pb, Cu, Zn, Ni, and Cr likely originated from anthropogenic sources associated with long-range transport, transboundary pollution and local emission sources. The authors express their gratitude to the staff of the Institute of Chemistry, Faculty of Science, Sts. Cyril and Methodius University, Skopje, Macedonia for help with the ICP-AES analysis of Albanian moss samples. The publishing is supported from University of Vlora through the University Founds for Scientific Research.